Colditz, Iris. 2018. Iranische Personennamen in manichäischer Überlieferung (Iranisches Personennamenbuch Mitteliranische Personennamen II/Faszikel 1). Wien: Verlag der Österreichischen Akademie der Wissenschaften. 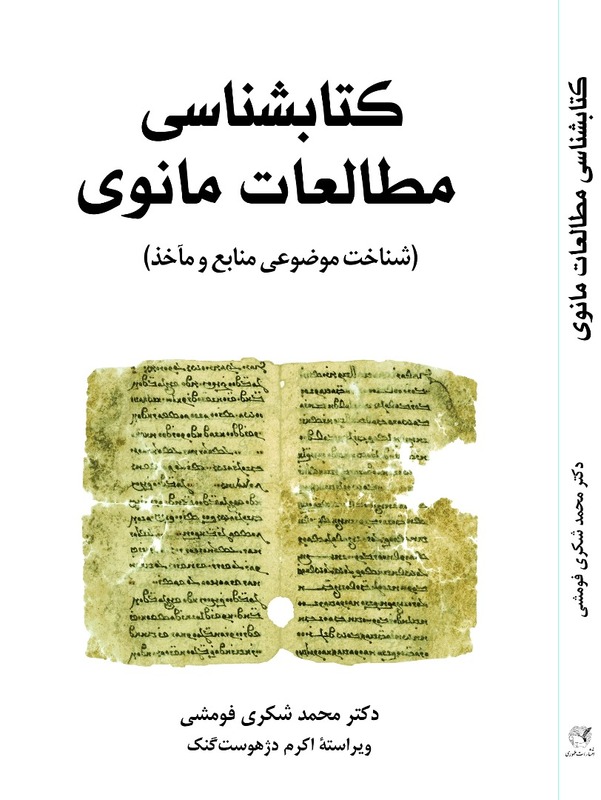 This volume presents for the first time a full collection of the personal names attested in Iranian sources of Manichaeism, an ancient dualistic and syncretistic world religion (3rd–14th century). This extremely heterogeneous corpus from the Central Asian Turfan oasis (Xinjiang, China) goes back to the golden age of Manichaeism in the Uygur steppe empire and the kingdom of Qočo (8th–11th century) but can be partly traced back to more ancient originals. It comprises ca. 4700 text fragments in Middle Persian, Parthian, Sogdian, Bactrian and New Persian written in Manichaean, Sogdian and Old Turkish runic scripts. The 766 entries contain Iranian, hybrid, and non-Iranian names, which reflect the ethnic and religious diversity of the peoples along the Silk Road. The name bearers are historical persons as well as fictitious characters from myth and literature. Obsolete and differing readings as well as “ghost names” are specifically marked. The presentation of the names follows the guidelines of the Iranisches Personennamenbuch. Each entry lists transliteration, transcription and all references of the name, including spelling variants, text duplicates and versions in other scripts or languages, followed by prosopographical data: titles, designations of offices or professions. Reference is made to indirect transmissions of the name (“Nebenüberlieferung”) in non-Iranian Manichaica, the writings of Arabic historians and in antiheretical Christian and Zoroastrian scriptures. At the end follows the morphological and etymological interpretation of the name. The explored material is displayed in detailed indexes. The volume is of special interest to specialists in Iranian studies, linguistics, religious studies and history. Ionuţ Daniel Băncilă. 2018. Die mandäische Religion und der aramäische Hintergrund des Manichäismus: Forschungsgeschichte, Textvergleiche, historisch-geographische Verortung. (Mandäistische Forschungen 6). Wiesbaden: Harrassowitz Verlag. Mandaeism, the only surviving Gnostic religion, reflected, recorded, evaluated and thus transformed various religious traditions of different identities. 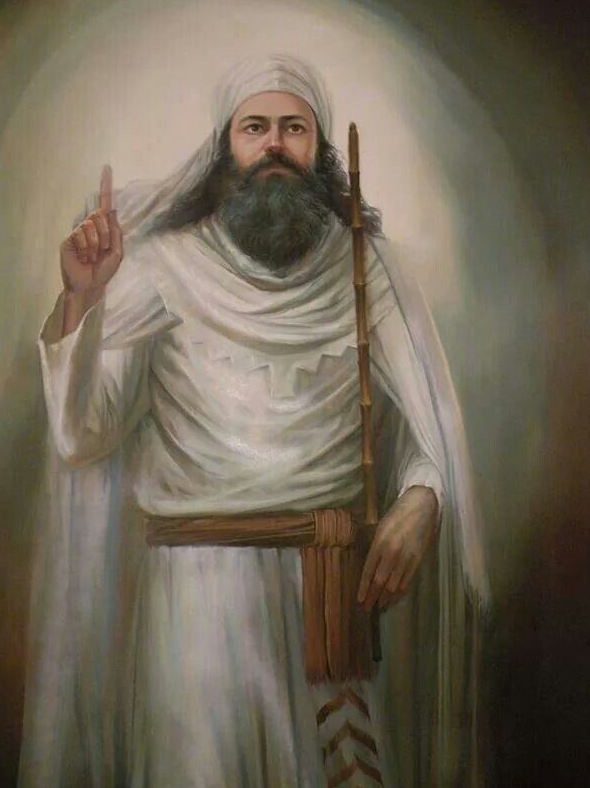 Although a “Mandaean identity” did not develop until after the Islamic conquest of Mesopotamia, one can assume that “Mandaean ideas” were already present in various Aramaic-speaking groups in Mesopotamia. In his study of the Mandaean religion, Ionuţ Daniel Băncilă asks whether traces of “Mandaic thoughts” can be found in Manichaeism, the second major Gnostic religion in the region. He examines this question in three different methodological approaches: A detailed look at the history of research on the subject shows to what extent previous attempts to explain the relationship between Manichaeism and Mandaeism were subject to the cultural fashions of different epochs; the text-comparative part of the study examines motifs in Manichaeism that can be identified as “Mandaic ideas” on a philological-literary critical basis. In a third part, the Mandaean understanding of history is critically examined and an attempt is made to explain the relations between the two religions geographical and historical vantage point. Iain Gardner, Jason D. Beduhn & Paul Dilley. 2018. The chapters of the wisdom of my lord Mani. Part III: Pages 343-442 (Chapters 321-347) (Nag Hammadi and Manichaean Studies 92). Leiden: Brill. The Chapters of the Wisdom of My Lord Mani, a Coptic papyrus codex preserved at the Chester Beatty Library in Dublin, describes Mani’s mission, teachings and debates with sages in the courts of the Sasanian empire during the reign of Shapur I; with an extended account of his last days and death under Bahram I. The text offers an unprecedented new source for the history of religions in Late Antiquity, including interactions of Manichaean, Zoroastrian, Christian, Jewish, and Buddhist traditions in Iran, remarkably transmitted into the Mediterranean world as part of Manichaean missionary literature. This is the first of four fascicles constituting the editio princeps, based on enhanced digital and multispectral imaging and extended autoptic study of the manuscript. Jason BeDuhn, Ph.D. (1995), Indiana University, is Professor of the Comparative Study of Religions at Northern Arizona University. He is the author of The Manichaean Body (Baltimore, 2000) and Augustine’s Manichaean Dilemma (Philadelphia, 2010/2013). Paul C. Dilley, Ph.D. (2008), Yale University, is Assistant Professor of Ancient Mediterranean Religions at the University of Iowa. He is the author of Monasteries and the Care of Souls in Late Antique Christianity: Cognition and Discipline (Cambridge, 2017). Iain Gardner, Ph.D. (1983), University of Manchester, is Professor of the History of Religions at Sydney University. He has published widely on Manichaean studies, and edited many original papyri in Coptic, notably on behalf of the Dakhleh Oasis Project. P.H. Poirier & T. Pettipiece. 2018. Biblical and Manichaean citations in Titus of Bostra’s against the Manichaeans: An annotated inventory (Instrumenta Patristica et Mediaevalia 78). Turnhout: Brepols. This volume is the third and final part of a trilogy devoted to Titus of Bostra’s Against the Manichaeans. The first part, the critical edition of the remains of the Greek text and of the complete Syriac version as well as of the excerpts from the Sacra Parallela attributed to John Damascene, appeared in 2013 as volume 82 in the Series Graeca of the Corpus Christianorum. The second part, a French synoptic translation of the Greek and the Syriac, was published in 2015 as volume 21 in the Corpus Christianorum in Translation series. The main objective of the present inventory is to make available to specialists and all those interested the rich Biblical and Manichaean documentation used by Titus of Bostra in his refutation. With the exception of the Contra Faustum of Augustine, Titus of Bostra’s Against the Manichaeans is indisputably the most extensive Christian refutation of Manichaeism. Titus’ work is also a goldmine of information on the Manichaean doctrine and a valuable source for the history of the text of the Old and New Testament in Greek and Syriac. The fact that the manuscript of the Syriac version is not only very ancient but also precisely dated (to November 411) adds to its value as a witness of the Syriac biblical text. Shokri-Foumeshi, Mohammad. 1397 š . ketābšenāsī-ye moṭāleʿāt-e mānavī: šenāḫt-e możuʿī-ye manabeʿ-o maʾāḫeẕ [Bibliographia Manichaica Selecta. Selected Works for Manichaean Studies]. Tehran: Ṭahūrī. Manichaeism is an antique religion founded by the prophet Mani (276/277-216), during the reign of Šāpūr I in Persia in the 3rd century. The Manichaean Church from the beginning was committed to an enthusiastic missionary activity in an endeavor to convert the world. Mani encouraged the translation of his writings into other languages and organized an widespread mission agenda. This comprehensive bibliography comprises the works focused on the selected works of Manichaean studies, includng religious studies, languages and thier linguistic analysis or editions of texts. You can doenload the TOC of this volume here. 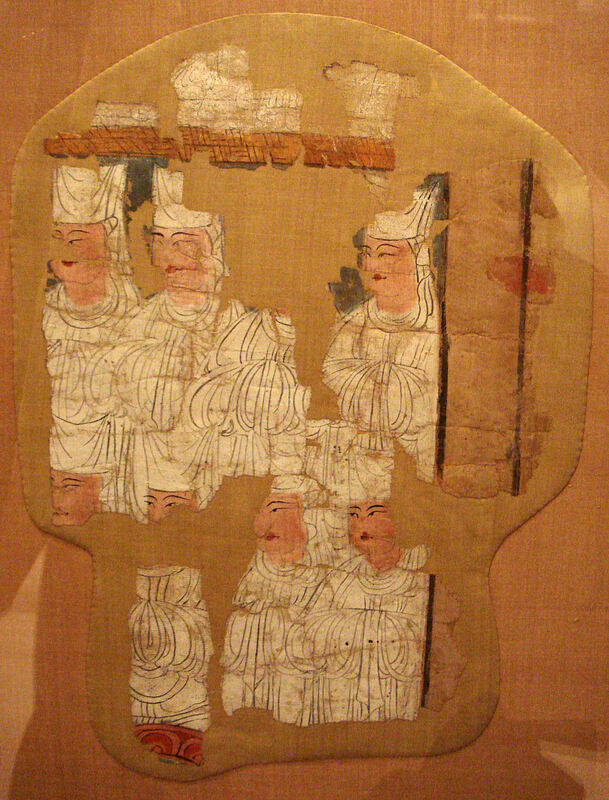 10th century Manichaean Electae in Gaochang (Khocho), China. Piras, Andrea. 2018. Sealing the body: Theory and practices of Manichaean asceticism. Religion in the Roman Empire 4(1). 28–44. The Manichaean conception of asceticism is clearly influenced by the spiritual expe-rience of the founder himself, Mani, whose Baptist-Elchasaite milieu provided him with a Jewish-Christian background of doctrines and behaviours (ritual ablutions, diet, chastity). After the visionary communications with his angel, the Twin (Syzy-gos), Mani stressed the Gnostic aspect of his teaching with ascetical commitments, based on the mastery of body and mind. Guided by wisdom and by means of a strict watchfulness of consciousness, to guard with moral virtues the organs of the five senses, the doctrine aimed at ‘sealing’ the perceptions, thus controlling instincts and passions. A medical approach of the teachings, to pursue a religious science of sal-vation with practical effects – concerning the self-transformation of the believer – is then a distinguishing mark of an original message of redemption, blending different aspects of the relevant religions of its time. Panaino, Antonio. 2017. The end of time and the ‘Laws of Zoroaster’. A Zoroastrian doctrine in the Manichaean reception. In Francesco Calzolaio, Erika Petrocchi, Marco Valisano & Alessia Zubani (eds. ), In limine. Esplorazioni attorno all’idea di confine, 61–68 (Studi e Ricerche 9). Venezia: Edizioni Ca’ Foscari. Zoroastrian theology clearly insisted on the assumption that historical time was limited and that in its borders ‘evil’ should be destroyed. Practically, ‘time’ and ‘space’ were a sort of weapon used by Ohrmazd in order to entrap Ahreman and his demonic army. In this spatio-temporal frame – work, the end of historical time involved also the end of Ahreman himself, so that one of the actions enacted by the ‘Antagonist Spirit’ would be that of trying to delay and stop its regular course. Recent studies on the Manichaean Coptic Kephalaia of Dublin confirm the importance of this Mazdean doctrine and present a direct witness of this theological dogma, which was presented in a way conveniently fitting for the Gnostic religion professed by Mani.